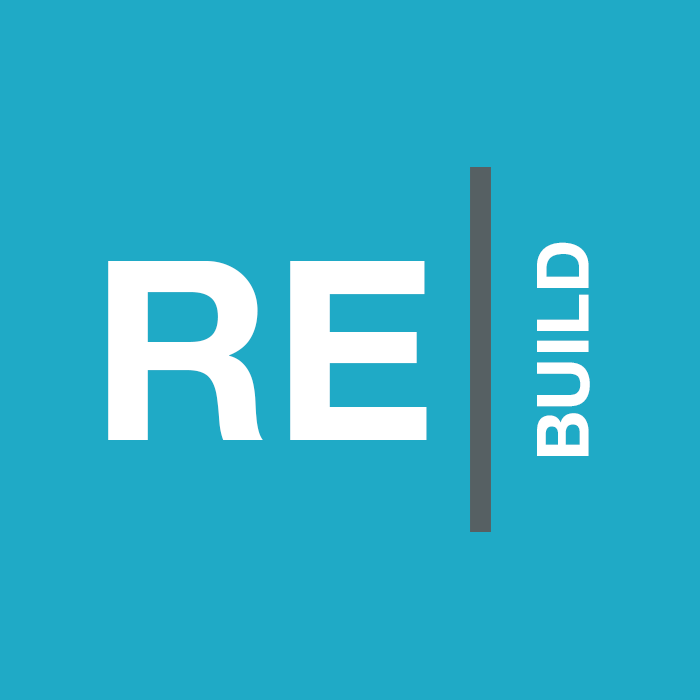 All of our programs are designed and based on our three pillars of ReConnect, ReBuild and ReCenter. By sharing a monthly meal together, we build a true sense of family and belonging. Attendees not only enjoy healthy and nutritious meals, but have a chance to sit down together and socialize, build friendships and be a part of a loving family. 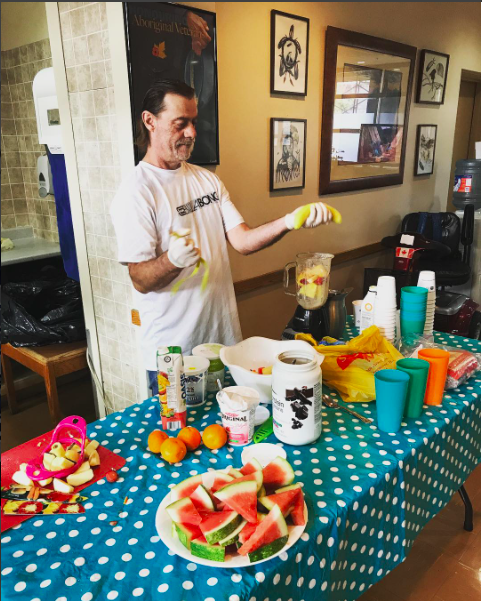 The purpose of the Super Smoothies program is to create a fun & welcoming environment that promotes social interaction, relationship building and ultimately a place where residents can get to know their neighbors. The smoothies are also a nutritious snack filled with nutrients and vitamins that are often lacking in the diets of our guests. 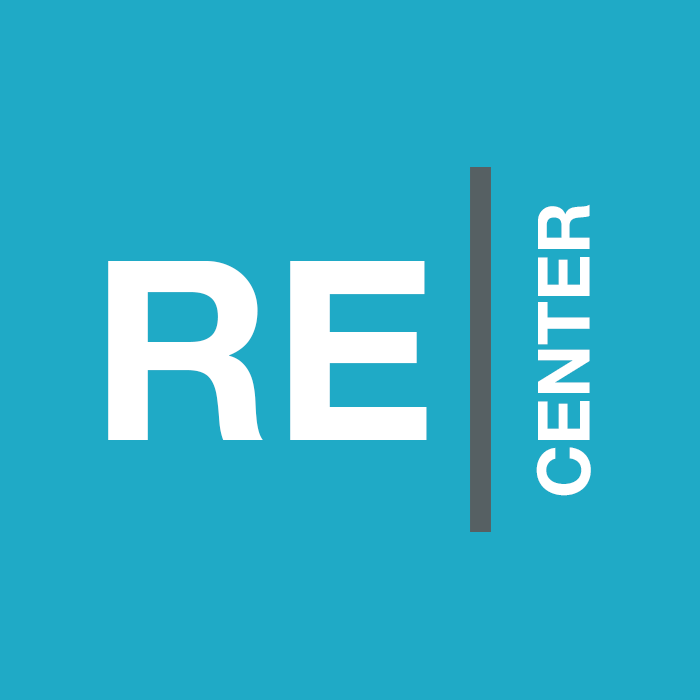 Currently, this program is run by the Alumni of the Union Gospel Mission Recovery Program, which is very inspiring to our guests. We offer friendship and support in order to diminish loneliness and promote health. 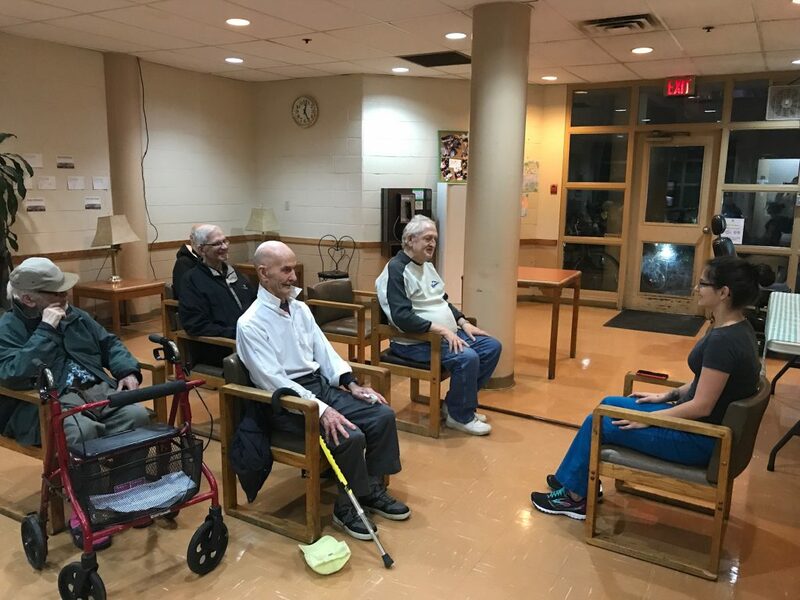 We enjoy hosting weekly Seated Exercise sessions with our members. This is a great opportunity to stay active, increase strength and mobility and have fun! Every Monday, Wednesday, and Friday morning the residents are welcomed downstairs by the smell of coffee. 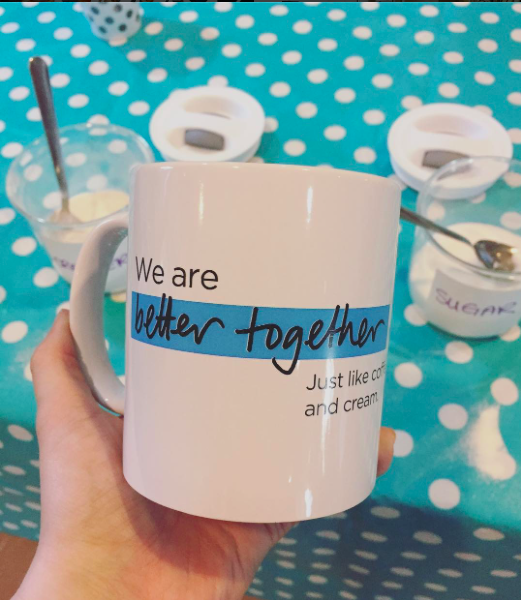 We offer hot coffee and tea, bagels and other breakfast necessities, giving them that pick me up they need to start their days on the right foot. Building meaningful and supportive friendships that instil value and worth by having fun together. Join in on a fun day of trivia, a game of Monopoly, Cribbage or Checkers & enjoy meeting new friends. 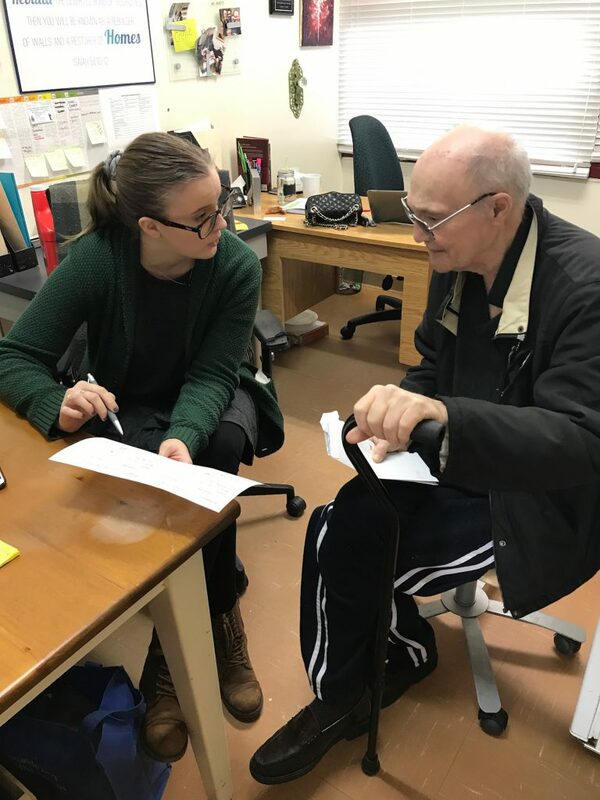 Working with men who face physical disabilities, mental health issues and may be at risk of homelessness, we are able to offer one-on-one support in various areas such as help with accessing resources, groceries, laundry, counsel, bedding, and various other concerns. 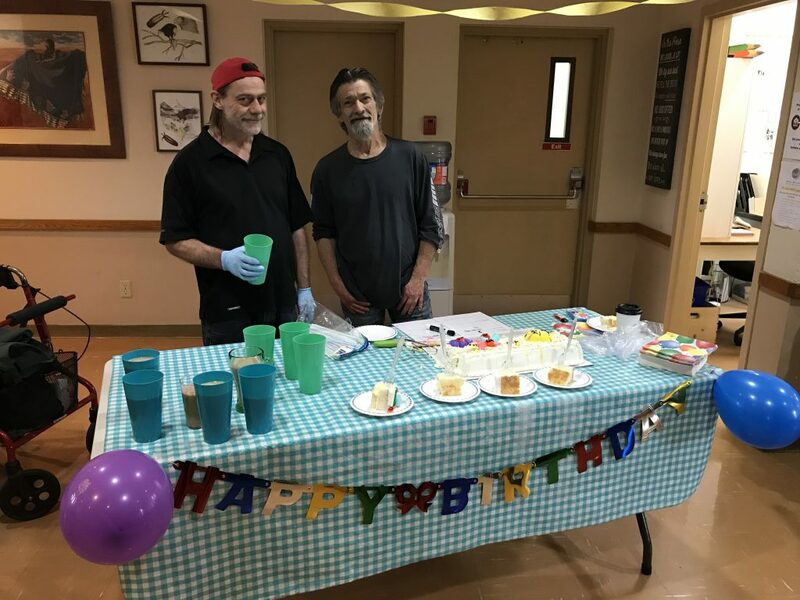 Every month we want to let our residents know that we’re happy that they were born, so we will be having a birthday party! BALLOONS, CAKE, CARDS, SINGING, FAMILY & FUN! Our aim is that every person leaves knowing that they are special and loved. This is also a great excuse to get together and have a PARTY! 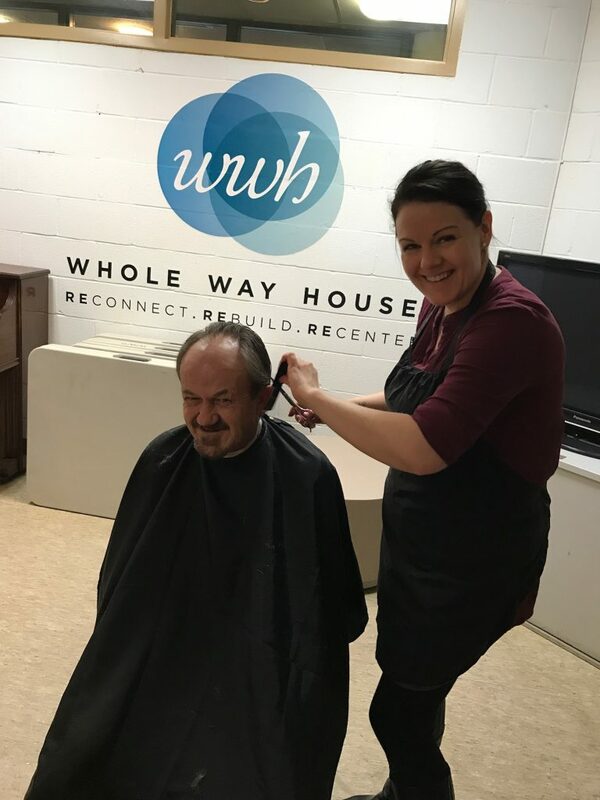 We are so grateful to have local hairstylists volunteer their time and talents to offer complimentary hair cuts & beard trims once a month! We all have a little more pep in our step when we’re lookin’ fresh! 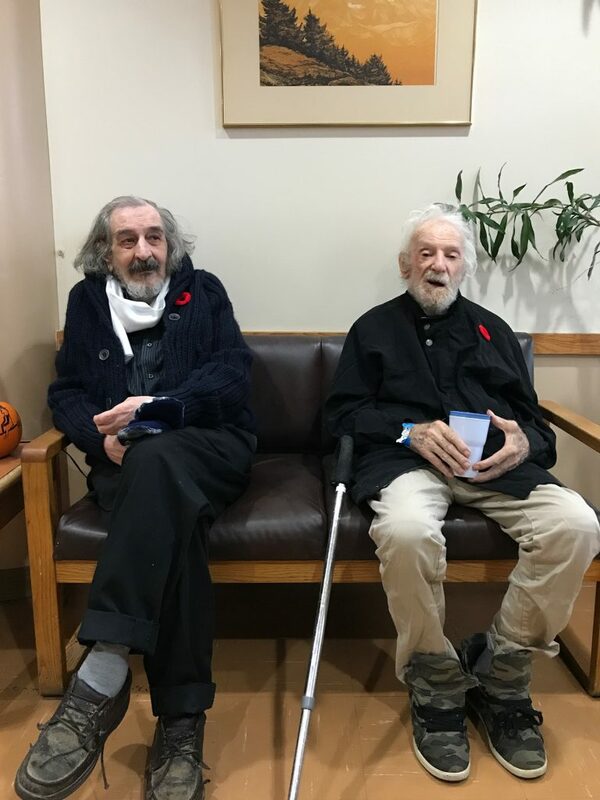 On occasion residents of the Veterans Manor are admitted into the hopital for various health reasons. We genuinely feel honored that we get to sit with them while they are lonely, hold their hand while they are scared and pray with them while they are hurting. We count it a complete privilege to be someone’s “person” when they may have no other family to call their own. We have walked alongside a lot of hurting people, we have cared for the sick and we have comforted the dying. 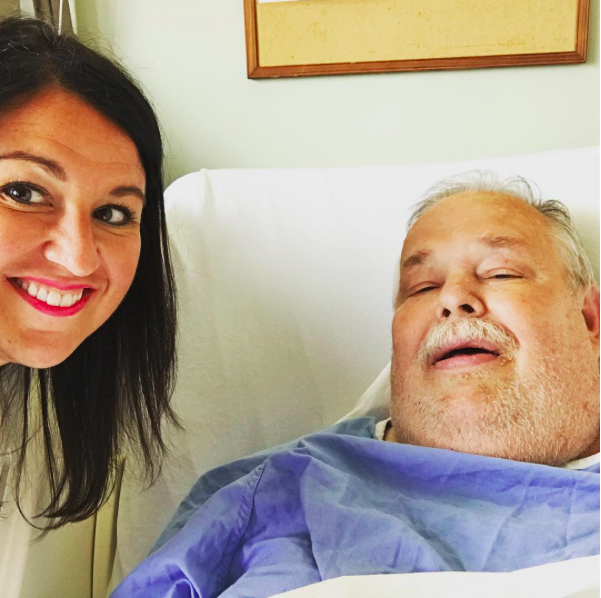 It is a hard road but we are so thankful that we can offer true love and hope to the hurting. 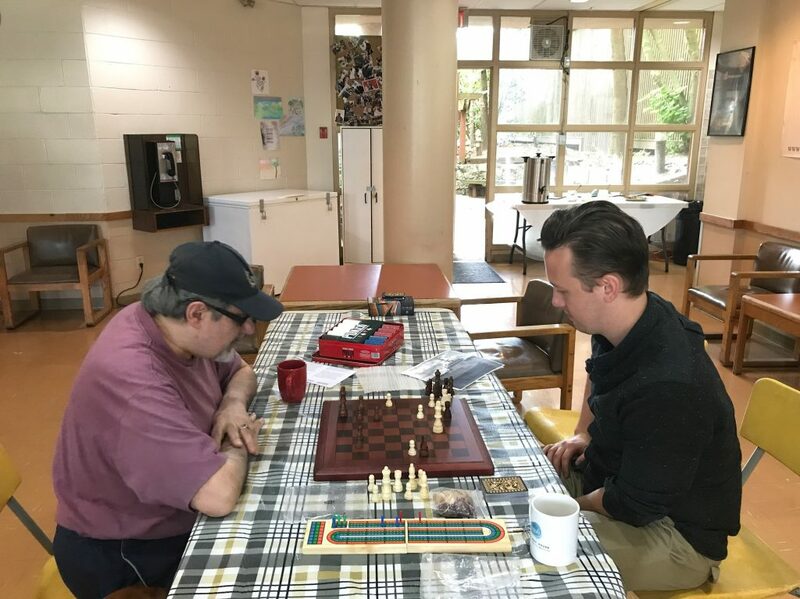 Building meaningful and supportive friendships means helping our residents in all their needs, including their living space. 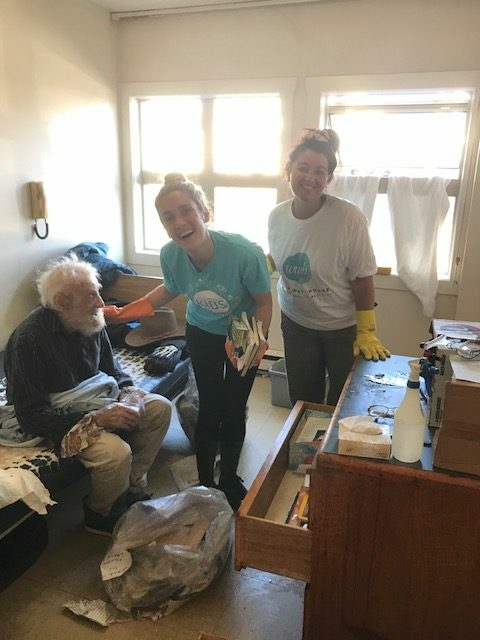 Many of our residents struggle with mobility limitations which make it difficult for them to clean their rooms. Clean walls and tidy kitchens make for a higher quality of life. By celebrating holidays such as Easter, Thanksgiving and Christmas together, we aim to create special family memories with our guests. 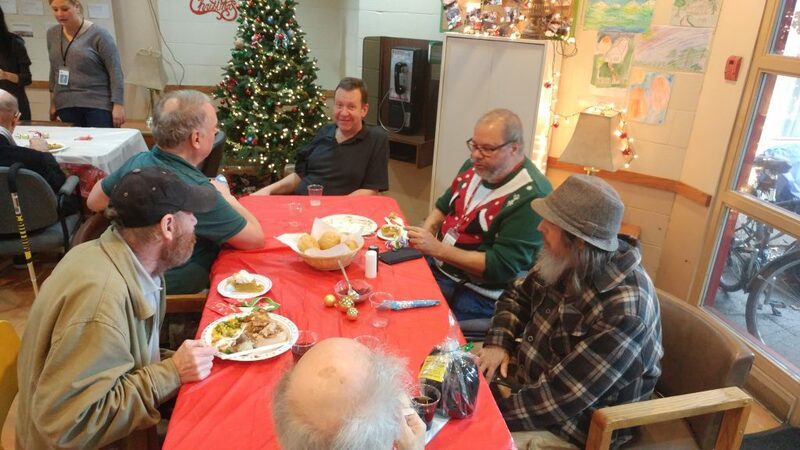 Holidays can often feel very lonely for residents of the Downtown Eastside and we want to provide a welcoming atmosphere to celebrate together, enjoy a delicious meal and be with friends and family that we love. The Annual Family Picnic in the Park and going to the PNE are examples of great ways to get out of our day to day surroundings and create great memories while having fun and experiencing new things. 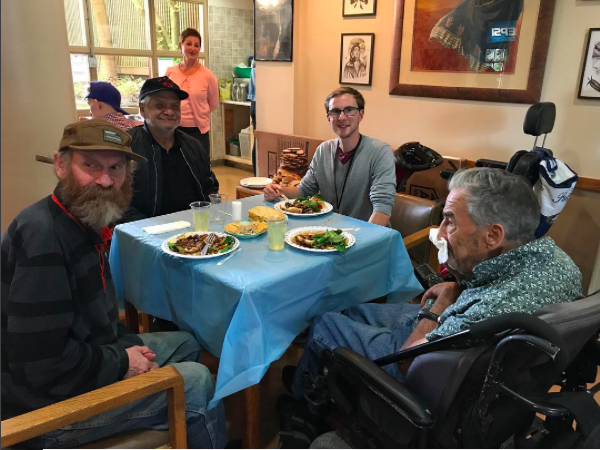 Whole Way House is open 7 days a week from 8am-6pm for the tenants of the Veterans Manor to enjoy at their leisure. 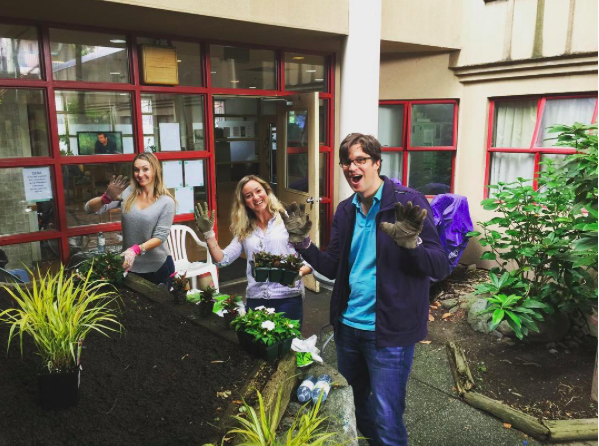 We serve 180 cups of free coffee every week and provide snacks when available. Books, games and movies are always available for their use and enjoyment. 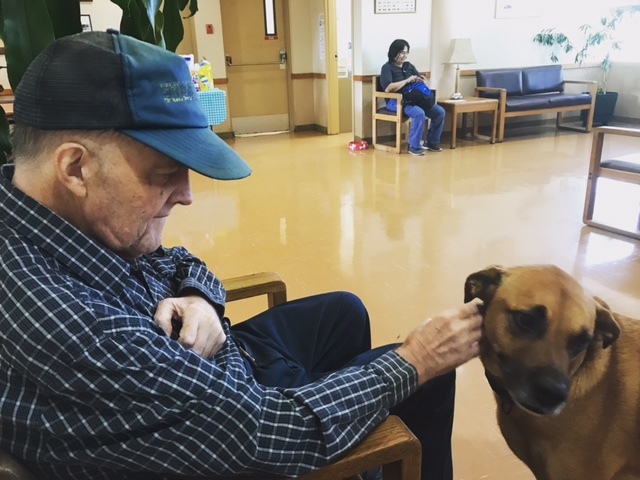 Pet Therapy is a great way for our residents to feel seen and known, and something to look forward to and feel connected by. Through the presence of dogs in our office and the responsibility of a fish tank, we see many of the residents come alive. 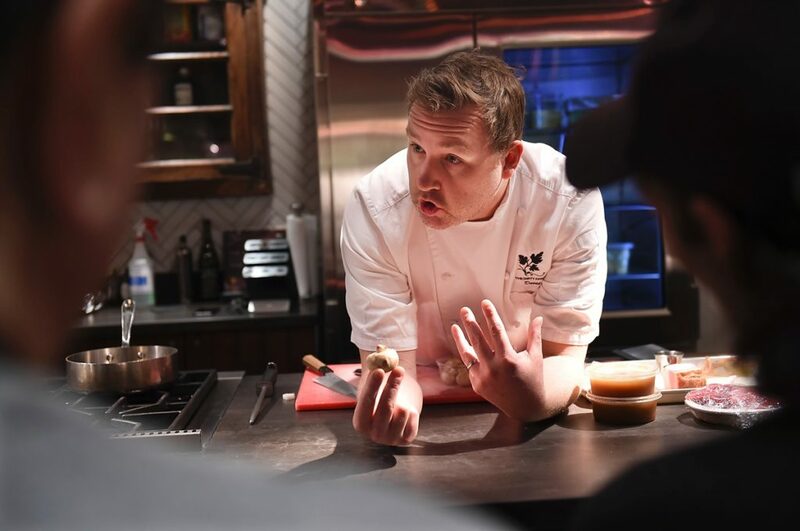 We believe cooking and eating together is fun and really helps to ReConnect people and build relationships and friendships, which are so important because of the prominent loneliness and isolation in the DTES which can lead to hopelessness.